Mellow | The Electric Drive that fits under any Skateboard – Mellow Boards GmbH | Is Mellow the Best Electric Skateboard for Me? |Is Mellow the Best Electric Skateboard for Me? We know that question can't be satisfied without answers to a few others first. 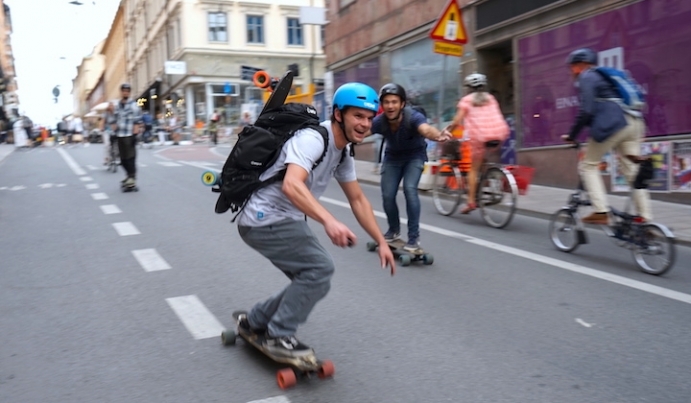 The number of features in a typical electric skateboard are as many as the reasons to buy them. Also, although finding the best electric skateboard is not an easy task today, shopping for bargains can actually be an expensive and unsafe strategy in the weeks and months afterwards. Mellow believes that your passion for forward motion deserves failure-free respect and that your right to choose includes your right to change your mind - anytime. We're talking high-end quality and performance, pure versatility and, finally, the ability to evolve and grow with you. The Mellow Drive was designed and built around a vision of performance without compromise with 100% of brainpower and tech sourced locally. Click on the names and photos below to see how three very different people decided to embark upon the Endless Ride.